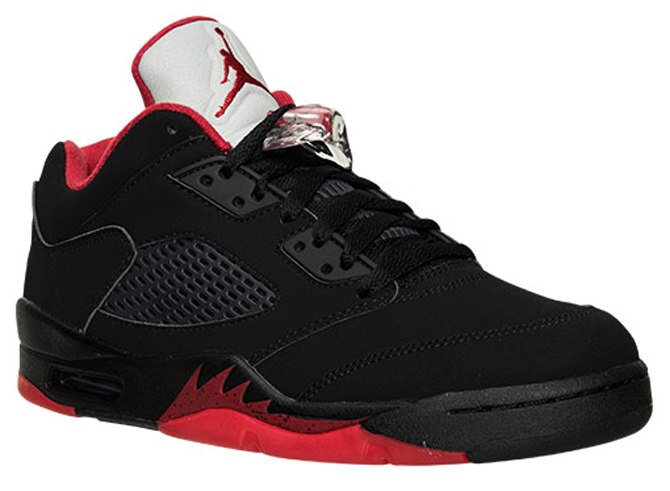 The upcoming "Alternate 90" colorway. 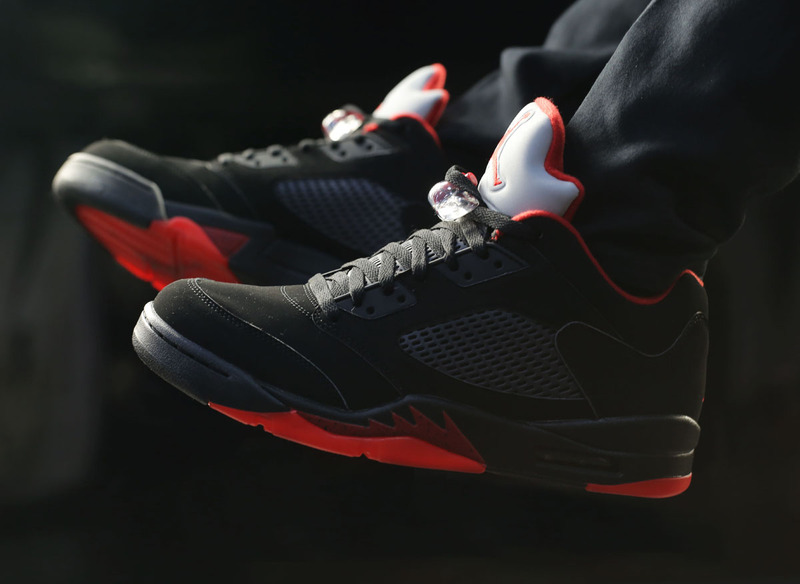 The Air Jordan 5 Low "Alternate 90" imagines what Michael Jordan's rotation for this sneaker might have looked like had he more access to exclusives back in the 1990s. 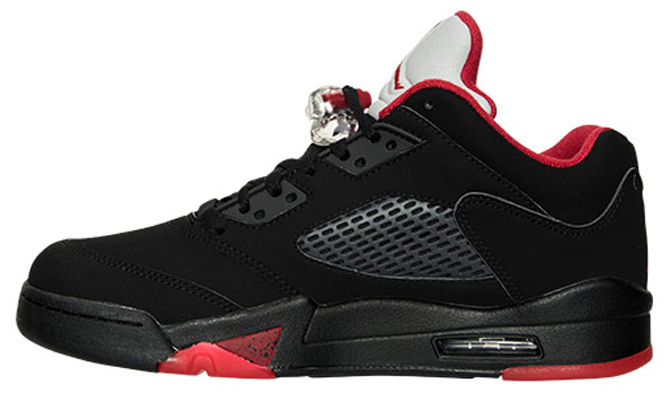 Of course, the Air Jordan 5 Low didn't even exist when the Jordan 5 first released, but this is an alternate reality we're talking about. 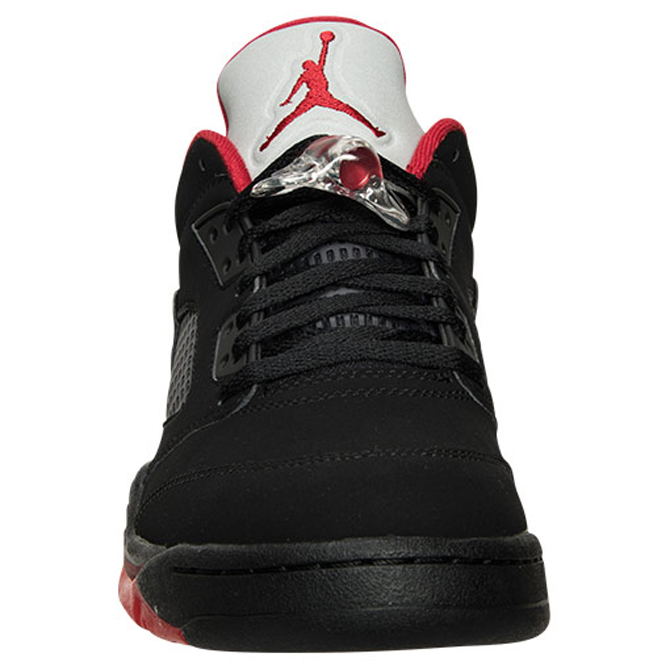 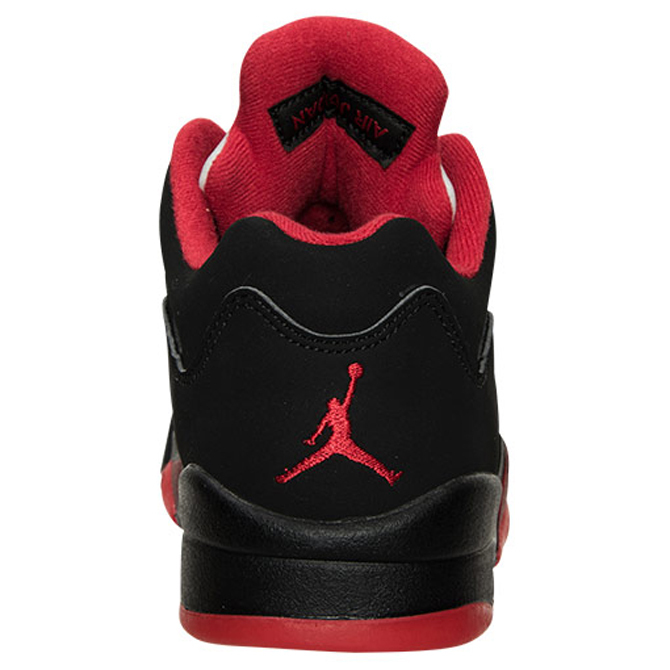 The shoe has a very Chicago Bulls-appropriate black/red colorway and what appears to be a reflective touch on the tongue. 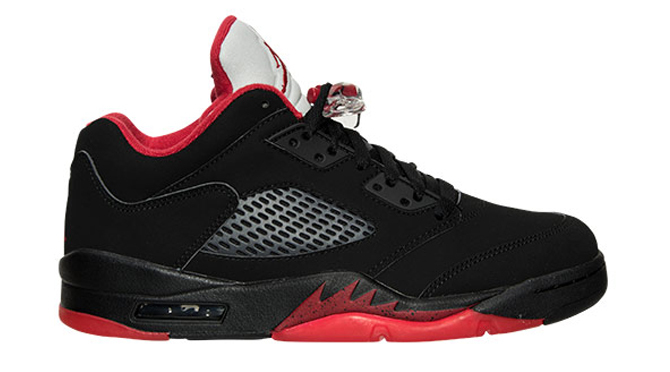 The Jordan release date for this pair of retros is Jan. 30. 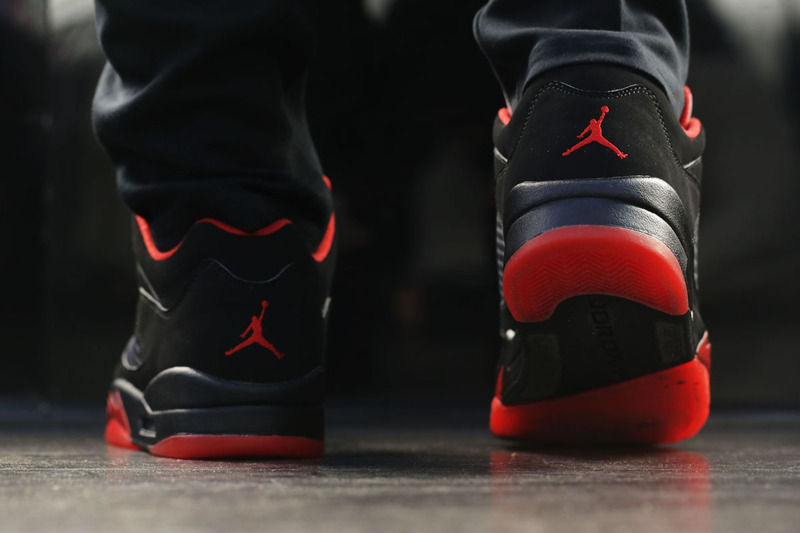 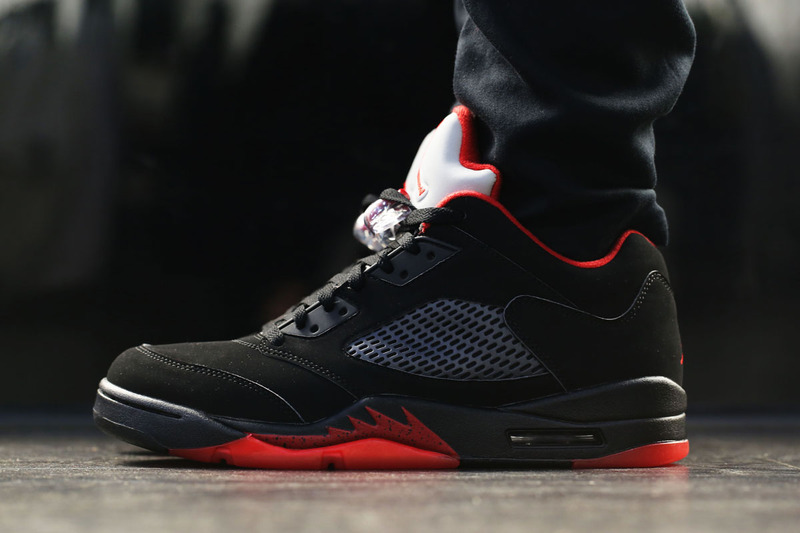 Air Jordan 5 Low "Alternate 90"
UPDATE 1/9: New on-foot images via AWOL.